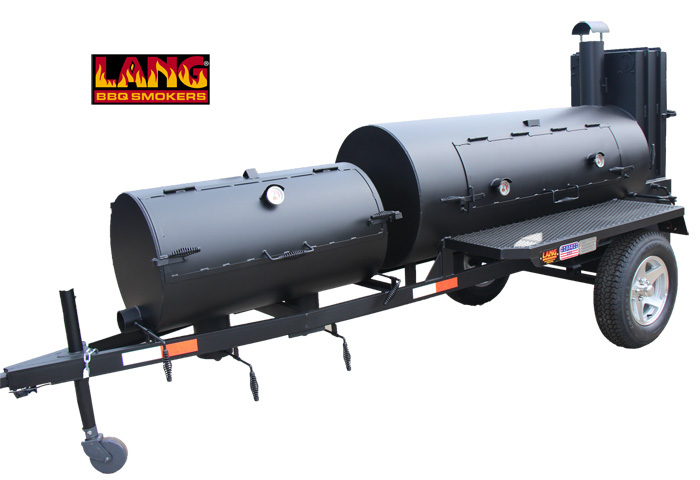 Competitive Smoker Cooker, Warmer, and Chargrill on Mobile Trailer Frame. Our most popular series for competition. Also excellent for commercial use. L x H x W: 186" x 63" x 77 1/2"